Thank you to the following partners and supporters for making our work possible! BECO is also extremely grateful to the individual donors who support our projects. In 2018, BECO received a grant from the Ontario Wildlife Foundation to support our 2019 research on Bobolink conservation in hay fields. In 2018, Monica Fromberger, a graduate student at Trent University, received a Mitacs Accelerate grant to work with BECO. Project title: Evaluating effects of local, landscape, and regional factors on Bobolink (Dolichonyx oryzivorus) nest survival. In 2016, Katherine Robbins, a graduate student at Memorial University, received a Mitacs Accelerate grant to work with BECO on a research project to investigate Bobolink and Eastern Meadowlark habitat use in different land cover types. BECO’s Bobolink nest success project is a collaboration with Professor Erica Nol, graduate student Monica Fromberger, and others in the Nol lab at Trent University. In 2017, BECO received a 2-year grant from the Species at Risk Stewardship Fund to support our work on monitoring Bobolink stewardship and a 2-year grant from the Species at Risk Research Fund for Ontario to support our research on Bobolink nest success in different land cover types and uses. BECO received two grants from the Species at Risk Research Fund for Ontario in 2016 to support our research on: (1) Barn Swallows and social cues, and (2) Bobolink and Eastern Meadowlark habitat use. In 2016, BECO received a 3-year grant from Echo Foundation to support our birds at risk in agricultural landscapes program. Colleges and Institutes Canada provided funding to support BECO’s birds at risk in agricultural landscapes program in 2018 through the Natural Resources Internships program. Funding for this initiative is provided by the Government of Canada through Natural Resources Canada’s Green Jobs – Science and Technology Internship Program, as part of the Youth Employment Strategy. Le financement de cette initiative est fourni par le gouvernement du Canada par l’entremise du Programme de stages en sciences et technologie – Emplois verts de Ressources naturelles Canada dans le cadre de la Stratégie emploi jeunesse. Colleges and Institutes Canada provided funding to support BECO’s birds at risk in agricultural landscapes program in 2016, 2017, and 2018 through the Clean Tech Internships program. This project was undertaken with the financial support of the Government of Canada through the federal Department of the Environment and Climate Change. Ce projet a été réalisé avec l’appui financier du gouvernement du Canada agissant par l’entremise du ministère fédéral de l’Environnement et du Changement climatique. In 2017, BECO received a grant from The McLean Foundation to support our Prairie Warbler Project. In 2015, BECO received a grant for general support. 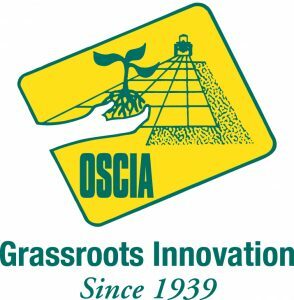 BECO collaborated with the Ontario Soil and Crop Improvement Association on the 2016-2017 project: Testing grazing strategies for Bobolink. Funding was provided through the Species at Risk Partnerships on Agricultural Lands program, an Environment and Climate Change Canada initiative. In 2016, BECO received a seed grant from the Ontario Trillium Foundation to support the launch of our birds at risk in agricultural landscapes program. Vortex Canada has loaned high quality optics to BECO for our field research since 2015. Korax has provided BECO with free web hosting since 2015. In 2015, BECO received a grant from the Helen McCrea Peacock Foundation at Toronto Foundation to support our Prairie Warbler Project. BECO collaborated with Bird Studies Canada on the 2014-2015 Barn Swallow social cues project. In 2015, Mountain Equipment Co-op donated a GPS unit to BECO through their Community Contributions program. The Canada Summer Jobs program contributed support for BECO field staff in 2015. In 2015, TD Friends of the Environment Foundation Grand River and Kitchener-Waterloo Chapters provided financial support for BECO’s Barn Swallow social cues project. In 2015, the City of Waterloo funded the construction of two Barn Swallow nesting structures included in the social cues project. BECO has worked with the Canadian Wildlife Service on several projects since 2014.